We create productivity software tools that save time, increase efficiency and provide solutions for CAD specific needs. We are a group of working professionals dedicated to the Architecture, Engineering, and Construction Industries. As members of the Autodesk Developer Network, our goal is to write innovative software utilities for users of AutoCAD and other CAD applications. Thank you for visiting our web site! Please take a look at AutoLib, our AutoCAD Detail, Block, and Symbol Manager for AutoCAD and see how easy it is to standardize your details and symbols in 5-minutes or less! In addition, features like batch printing, enlarged CAD DWG Viewing, Auto scale, Insert, Xref attach and powerful Search capabilities makes managing your drawing files a breeze. Need to Manage and Standardize your CAD layers? Try our AutoLayer software which lets you centrally manage and create standard layer names, descriptions, lineweights, and more. AutoLayer is pre-configured with AIA Layer groups for your convenience. Please also take a look our other power utilities like AutoErase, the Network Vacuum Cleaner for automatically deleting temporary files like .BAK, .TMP, .AC$, SV$, etc. or AutoLaunch, our AutoCAD shortcut launcher. We have thousands of satisfied customers from around the world using and standardizing on our products. Many of our customers are from the Top 500 AEC firms so be confident that ArchMedia Products have the reliability and capability to get the job done. Interested in purchasing a Site License for our products? Please email us with the number of seats you are interested in and we’ll provide you a signficant discount over our per seat prices! New AutoLib 3.5.1 and AutoLayer 2.0.3 versions now shipping! AutoLib 3.5.1 includes AutoCAD 2010 DWG support as well as the ability share library definitions on the network and load AutoLib locally. Take a look at our new How to Videos and 10-quick steps to creating your detail and symbol libraries then test drive our free AutoLib demo today, see the speed! Announcing our new AutoLayer 2.0.3 release, our top selling Layer Standards Manager for AutoCAD based products! 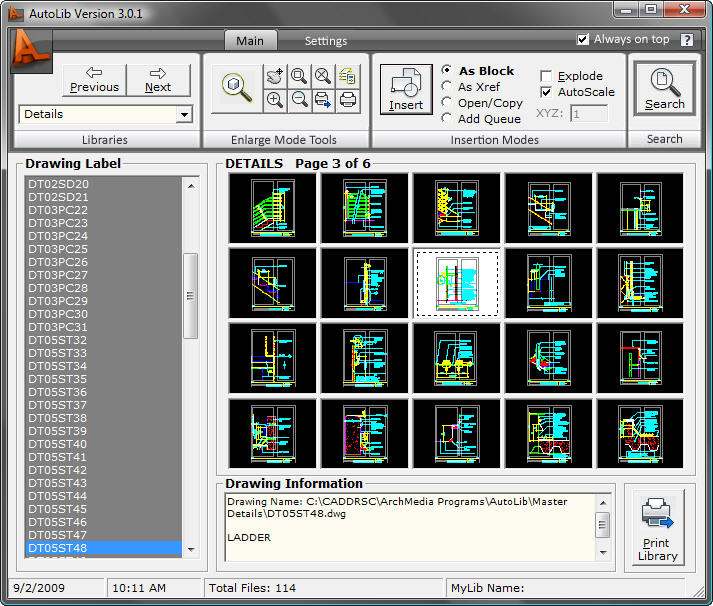 AutoLayer is compatible with AutoCAD 2000-2010 based products, Windows Vista, and Windows 7. New in AutoLayer 2.0.3 is the ability to specify line width in Inches and MM. All our products have FREE FULLY FUNCTIONAL DEMOS ! AutoLib Version 3.0.1 is here! Updated to be compatible with AutoCAD 2010 based products and is still backward compatible with AutoCAD 2000. 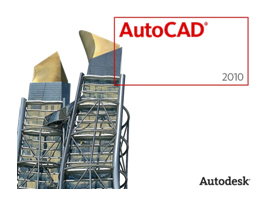 AutoLayer Version 2.0.1 is AutoCAD 2000-2010 compatible! NEW! Check out our Videos to see how EASY and FAST it is to create CAD Detail and Symbol Libraries. Need CAD Symbols and Content to add to your AutoLib Libraries?? CAD Architect features over 6000 CAD Symbols, Drawings, Details and Building templates available to download instantly.